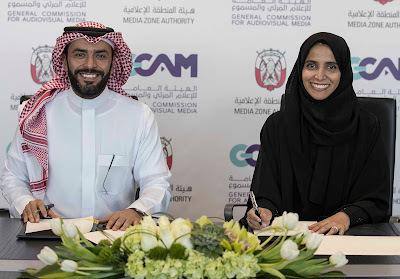 The Media Zone Authority – Abu Dhabi and Saudi’s General Commission of Audiovisual Media agree collaboration to enable the growth of media sector. ABU DHABI -- November 2017 – The Media Zone Authority (MZA) – Abu Dhabi, the regulatory body of twofour54, and the General Commission of Audiovisual Media (‘GCAM’) of Saudi Arabia signed today a Memorandum of Understanding (‘MoU’) that will see both organizations collaborate on efforts to help grow the media sector in the region. The agreement aims to strengthen ties between both organizations, enhance the sharing of experiences and knowledge, and collaborate on initiatives that will support Saudi Vison 2030’s goal to foster job creation and enable the establishment and growth of SMEs in the media sector. The agreement was signed by Her Excellency Maryam Eid Al Mheiri, CEO of the Media Zone Authority – Abu Dhabi and twofour54, and Mr. Redha bin Mohammed Al Haidar, General Director of GCAM, during a special ceremony hosted in twofour54. HE AlMheiri said: “At MZA, we actively support the growth of the region’s media industry as it contributes significantly to local GDPs and is a key economic driver in supporting governments’ diversification efforts. We are proud that MZA’s contribution to non-oil GDP of Abu Dhabi continues to grow year on year and that our twofour54 community continues to provide job opportunities for both Emiratis and residents of the UAE. “Our relationship with the Kingdom of Saudi Arabia has always been strong and we have developed close partnerships with Saudi media companies such as Saudi Broadcasting Corporation and MBC Group. Also commenting on the agreement, Mr. Al Haidar said: “The media sector is an exciting and rapidly evolving industry – rich with opportunities for the youth of Saudi Arabia to learn, grow, and express their creativity. “At GCAM we’ve been taking active steps to nurture this industry as per the National Transformation Program 2020, which has seen the complete revamping of the audiovisual media ecosystem. Over the last few years, twofour54 signed an MoU with the Saudi Broadcasting Corporation to exchange knowledge and has hosted delegates for training. 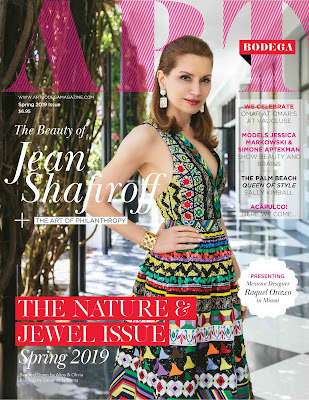 twofour54 has also collaborated with O3 Productions on a state-of-the-art backlot in Abu Dhabi, where Saudi drama series are filmed.